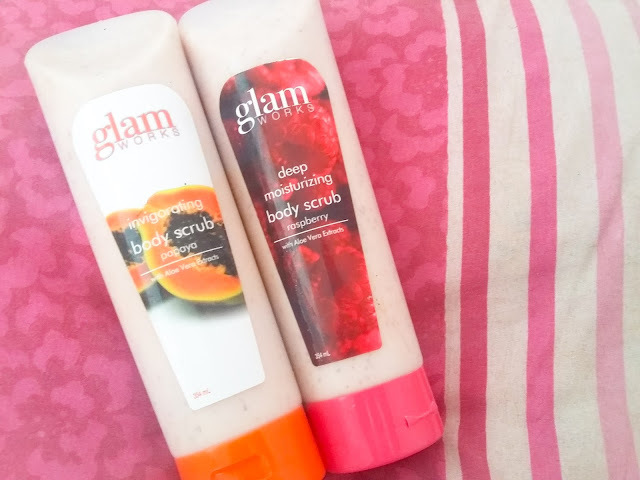 I am so in love with body scrubs and I am so in love with Watsons! I like to stroll around Watsons because I keep seeing new brands that are very affordable. Maybe one day I would post my Watsons collection if time permits. I just have to make sure that I have the stuffs enough to call it a "collection" haha. But kidding aside, I have tried several skin care products from this drugstore and I like most of it. For today, I will be sharing two of my favorite body scrubs from Glam Works. I remember that I received this Deep Moisturizing Body Scrub from my office mate when we had our Kris Kringle in 2014. Category is something that relives stress. Well, she knew me too well that my stress is being relieved when I go to spas and pamper sessions. And starting that day, I started to love Glam Works. I love fruity scents. One of the main reasons why I was captured by these body scrubs. Glam Works Deep Moisturizing Body Scrub is specially infused with Aloe Extracts and Exfoliating Beads to scrub away dry and rough skin. With the sweet refreshing scent of Raspberry, Glam Works Deep Moisturizing Body Scrub will leave your skin soft, smooth, and glowing from within. The tube is very easy to squeeze and very handy because of its shape. 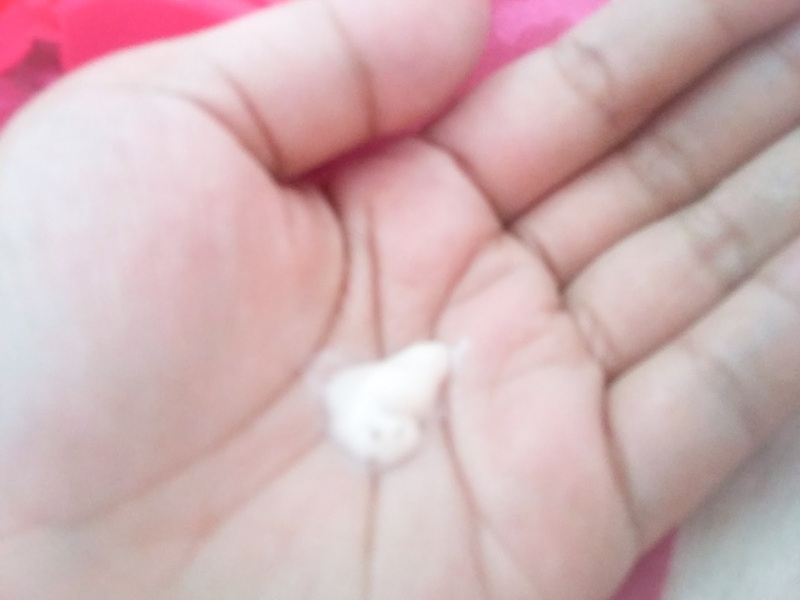 My camera failed me with its auto focus, but I actually wanted to show how it looks like when squeezed. It has fruit extracts/beads (or I think it's raspberry seeds?) which makes it a legit body scrub. I love it when body scrubs have those beads that pushes away skin dirt. Glam Works Invigorating Body Scrub is specially infused with Aloe Extracts and Exfoliating Beads to scrub away dry and rough skin. 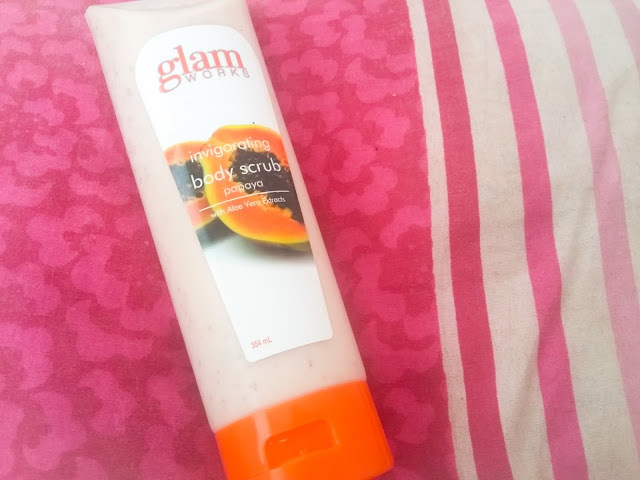 With the fresh creamy scent of Papaya, using Glam Works Invigorating Body Scrub regularly will leave your skin feeling clearer, softer, and glowing from within. For best results, follow your skin care regimen with Glam Works Invigorating Body Lotion. I use these two alternately. But I like the raspberry scent more. There's also the avocado scent but I don't like the smell so I didn't buy it. I think I really have a lot of body scrubs already and I'm adding more! The good thing about this scrub is that the smell is not too strong, but it keeps you feeling fresh like you've just taken a bath even hours later. Sometimes, I don't need to spray perfume anymore. I like it because it's very affordable. It also has a partner lotion which I haven't bought yet, but I'm interested to try soon. 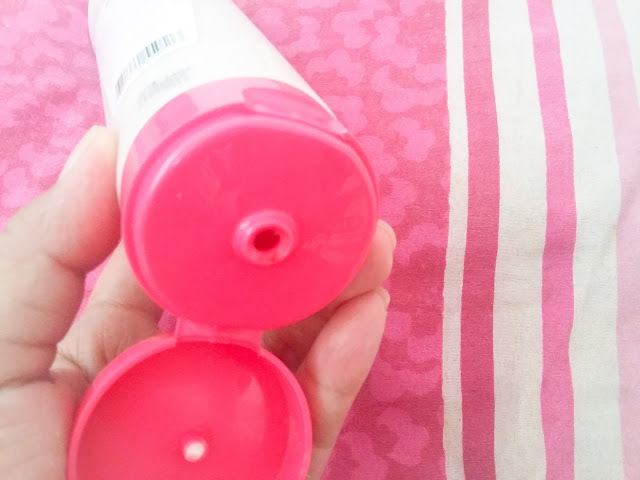 Is it okay for everyday use?? I bought milk and papaya..
Sinasabay b xa sa paliligo? First time ko kasi gumamit nito...e...para x sabon? Hello, use it after you rinse the soap.